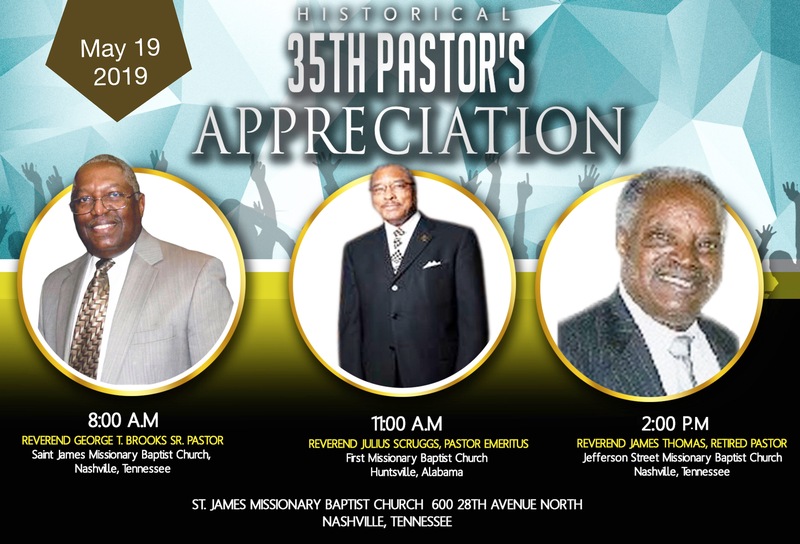 Thank you for visiting the Saint James Missionary Baptist Church by way of the worldwide web. 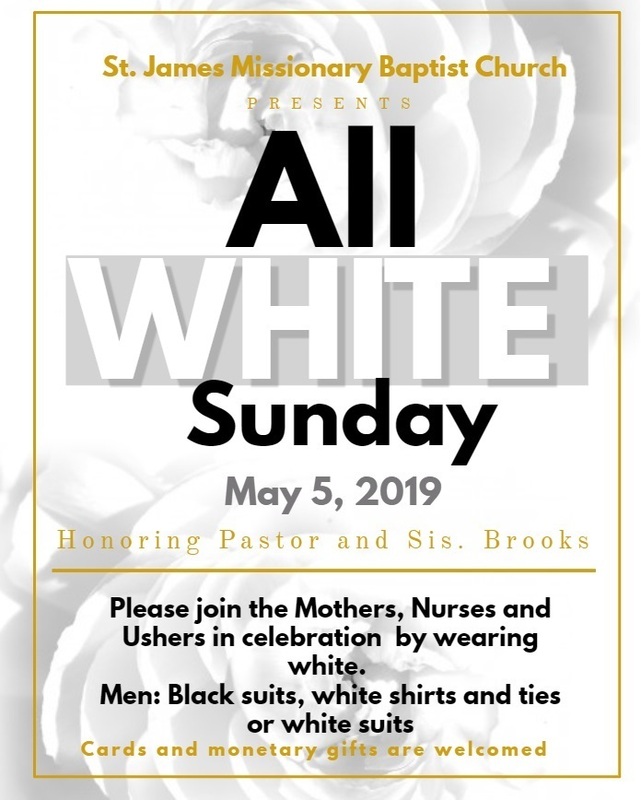 The Saint James Missionary Baptist Church seeks to be a church to match this hour. Through worship, Christian education, evangelism/missions, and ministering we are seeking to win the world for Christ. You are welcome to visit with us anytime opportunity presents itself. 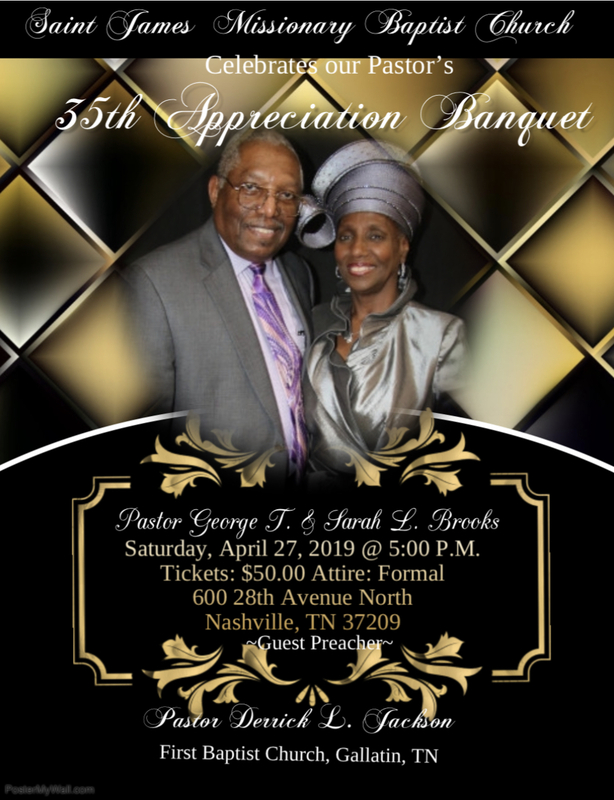 Saint James Missionary Baptist Church is a tithing, witnessing, ministering, and teaching congregation. We minister the Word of God and the ministry of consolation. 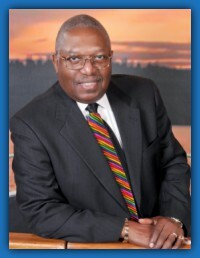 Dr. George T. Brooks Sr. is the proud pastor of the Saint James Missionary Baptist Church. 1. To be a spiritual organism empowered by the Holy Spirit to share Christ where ever opportunity presents itself, in our church, community and throughout the world. 2. To religiously educate our membership and others in Christian doctrine. 4. To be a worshiping fellowship, experiencing the presence and power of God, and responding to that presence and power in obedience to His leadership. 5. To be a church which ministers unselfishly to persons in the community and the world in the name of Jesus. 6. To be a church whose purpose is to be Christ-like in character by a total commitment of life, personality, and possessions to the lordship of Christ. If you have any concerns, questions, or would like to request information, we welcome you to please call us (615) 320-7616 or complete a contact form by clicking the button below.